If by “interest rates” you mean the rate set by the Fed — the Fed funds rate — it rose to TWENTY PERCENT in 1980. But no, it was not inaction but just the opposite: a deliberate rise in rates triggered by inflation. So inflation rose dramatically, and the Fed employed a dramatic strategy, hiking rates through the roof. 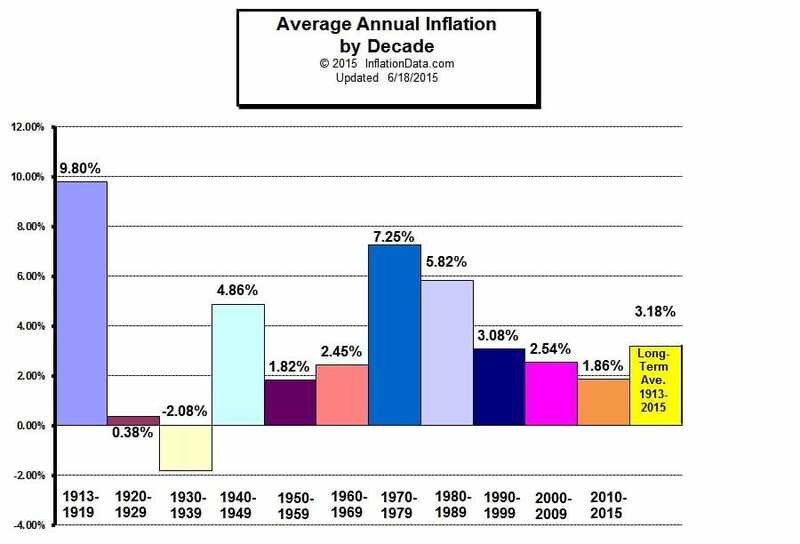 But as you look at the same chart, it’s also clear three other decades had severe inflationary periods as well. 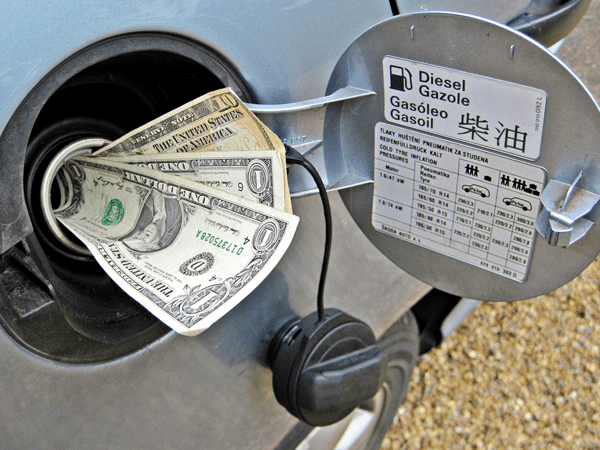 Each time that happens in the U.S. the dollar loses buying power quickly as prices for food, energy, and fuel go through the roof. Serious hyperinflation can happen relatively quickly. Venezuela is a recent example, where it only took about 5 years for the local bolivar to lose 90% of its value. Inflation soared to a ridiculous 1.37 million percent. We also have historic examples of severe hyperinflation. From 1921-1923 the Weimar Republic of Germany suffered massive inflation. Sovereign Man highlighted, “a single egg at the market would cost millions of marks” during this economic upheaval. Zimbabwe also had a period of massive war-based hyperinflation in 2008-09 after printing money and devaluing its currency. These hyperinflation horror stories beg the question, will the Fed’s “target” of 2-3% inflation per year be effective? 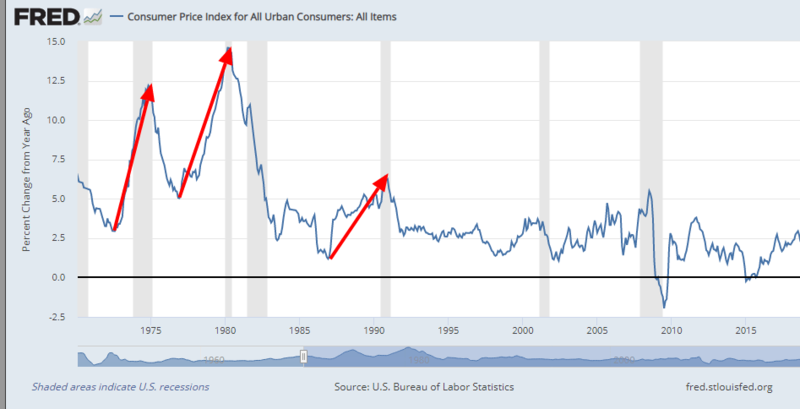 We tend to forget that over the last century, cumulative inflation has risen over 2000% in the U.S., so even inflation “under control” adds up. From 1972-74, it jumped almost 10%. From December 1976 to March 1980, it soared almost 10% again, even after a modest recovery. From 1987 to 1991 it jumped 5%. And from 2009-11 it rose about 6%. Could U.S. inflation soar to 1980 levels again? Back in Germany’s hyperinflation days, there were a handful of sophisticated people who saw the writing on the wall. They knew that the government could never pay its debts, and that they would print money and debase the currency. This begs the question … are there people that “know” the U.S. can’t pay its crushing debt? The U.S. has already printed money (Quantitative Easing), and that money has to go somewhere. But Powell has already committed to ending the balance sheet “runoff” in Q3. Stinnes’ hard assets weren’t affected by the hyperinflation. They held their value. His businesses and investments flourished, making him one of the wealthiest men in the world. Those “hard assets” included gold, which as history has proven, generally fares well during market turmoil and times of inflation. If the Fed and other factors trigger the wrong events, serious inflation may happen again. When that happens, you’ll want to be prepared with assets that can protect your wealth.